The club was founded in 1909 by student gymnasts as an after class leisure pursuit. 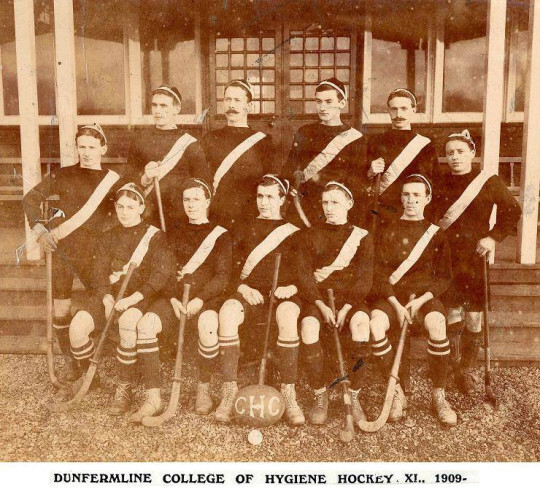 For over 60 years Pitreavie Playing Fields was the home of hockey in Dunfermline. Many changes have been seen over these years, mainly in fashion, but also a move from grass to the modern surface of AstroTurf. With the need for the club to be able to play on a modern AstroTurf pitch to keep up with advances in the game of hockey, it saw the club moving several times over the next couple of decades. For 13 years our home pitch was based down at Caledonia at Rosyth. But sale of the land in 2013 saw us once again on the move. This time out of the Dunfermline area, to a new pitch at The Michael Woods Sports Centre at Glenrothes. 2015 heralded the return of Dunfermline Carnegie Hockey Club back to Dunfermline, with a new base at Woodmill High School where a hockey specific surface has been relaid. Hopefully the club will not have to move again for a number of years, firmly keeping the ‘Dunfermline’ in Dunfermline Carnegie Hockey Club. In recent years the club has merged with Rosyth CS & Kirkcaldy men’s hockey clubs and in 1999 with Dunfermline Ladies. The club now has seven adult, a veteran and numerous youth teams from U10 to U18 levels. 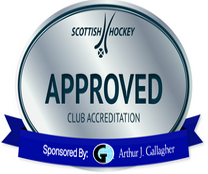 It is Fife’s premier hockey club playing in the National and East District Leagues.